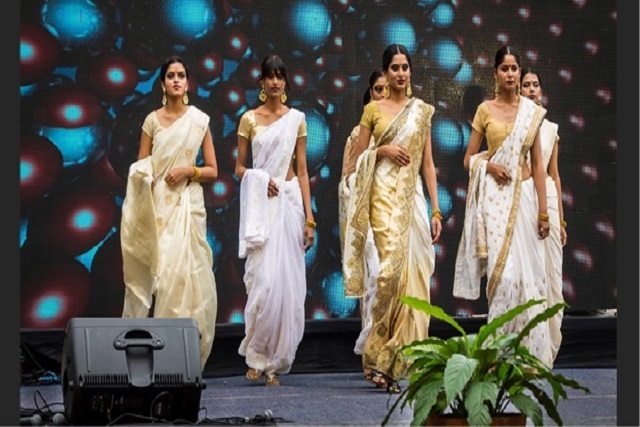 Wearing the beautiful combination of white and gold, the St Joseph’s College (Autonomous) fashion team paid a tribute to Kerala in light of the recent natural calamity at the Finale of Pratibha 2018 on Friday. Seven teams — Mass Communication, MCBZ, CBZ, CEB, BComA, BComB, and Biotechnology — participated in the intercollegiate fest representing departments. They showcased the theme for Pratibha 2018, “Celebrating India”, by creatively displaying the diverse culture of India. Event head Shivani Shetty said the Biotechnology department went the extra mile by painting their bodies and faces to depict animals from different states. The Department of Biotechnology bagged the first prize, while MCBZ and B.COM A secured the second and third positions respectively. Red FM RJ Tuhin judged the fashion show along with Aparna M.C from the Computer Science Department.